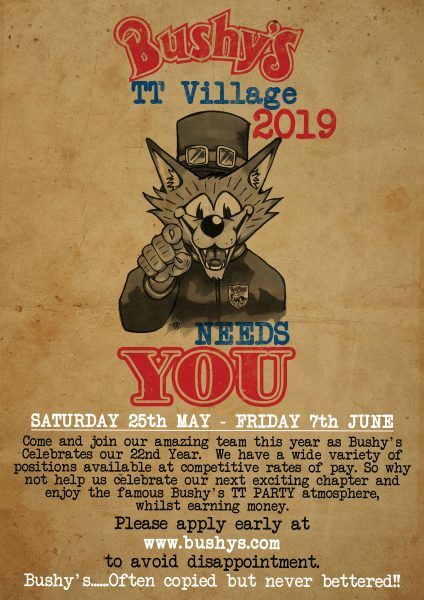 SPONSOR BUSHY’S TT VILLAGE 2019 – and become part of the legend! Visit our events partner Revel to find out more – click here. Colas have kindly agreed to sponsor the Port Erin Beach Music Stage again, which goes towards offering FREE LIVE MUSIC at the 2018 TT Festival. BUSHYS OFFICIAL PROMO VIDEO IS UP! The Ultimate TT 2017 Calendar for your smartphone! 20 Years at the Bottleneck! The Lightning Seeds for 2017!